For many aspiring DJs, a good deck or turntable is on the top of the list when you are just starting out, and they are important for playing remixes and original tracks – especially when you want to test them out in front of friends and family. If you are just starting out as a DJ, we may just have the perfect solution for you. You don’t need anything fancy when you are just starting out in the world, and the basics are the best way to get started. All you need is something that will play your discs, possibly allow you to stream from your computer, and also have speakers so that you can blast it out. Each of the packages we have come up with come at a range of prices and have some great features to help give you a push forward on your DJ adventure. It’s not always easy to know which turntable to pick, or which is going to be right for you, but we are here to give you a hand with things. 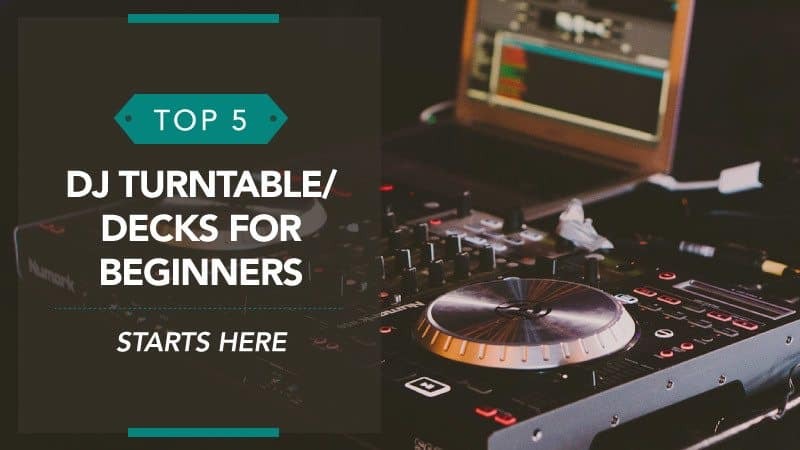 In order to help you find the best DJ turntables for beginners, we have put this guide together, compiling all of the relevant DJ turntables for beginners reviews in one place, so that you can get started and really live your dreams. A great brand, this could be one of the best basic setup kits out there, and you can trust that it will be good quality and last you a while. Made for beginners, you may just find yourself falling in love a little when you take the time to read through the reviews below. Why not give it a try? The turntable comes in two colours – a classic black and a stylish silver – so you can choose the one that works best with your personal look. The controls are on the top of the turntable and are clearly labelled, making them easy to access and use. The volume also has a good range, and the speakers that have been built into it offer a clear sound that barely distorts at maximum volume. 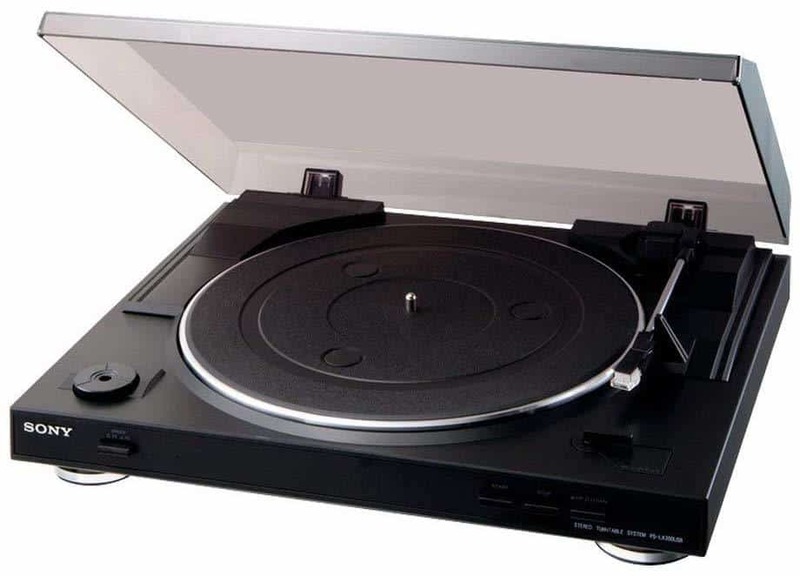 It offers three speeds, ensuring that you can play any record regardless of the size, as well as a stable cast aluminium platter to place them on. It lets you plug in your USB stick for easy record conversion as well, so you can make digital files out of the tracks you have created. In addition to this, it comes with a good quality amp that allows for louder music with a better range overall. Some customers felt that the instructions were a little confusing and frustrating to use. This turntable under £300 comes at a reasonable price, and is great for those who are just starting out and want a good starter kit to get them going. While the instructions can be a little frustrating at first, it is worth the hassle in the end as it offers everything you need to make a start. With three speeds, USB connections, and digital file conversion, it comes complete with all of the basics that you need, making it an ideal beginner’s pack. Another fantastic brand, Pioneer is one of the market leaders when it comes to audio tech, so you are sure to be pleased with the results when this one turns up. Continuing on the theme of beginner’s packs, this is a great basic setup that you simply have to try, so take some time to read more about it. This black turntable sports a very modern design in black, so you’ll look great when turning discs on this beast. The dust cover on the top is ideal for keeping it clean and ensuring smooth operation at all times, and you will also find that the controls are very easy to access. They are located on the front, and clearly labelled, alongside the volume control, so there is no stress trying to find them. It has fully automatic operation for ease of use and two speeds, so most records can be played comfortably. The arm is highly sensitive for better playback and a gentler touch on your records, alongside good quality speakers that are sure to bring the house down. Lightweight, it is also easy to carry around with you, and the USB socket allows for smooth conversion of records into digital files. Some customers have noted that the cartridges cannot be changed and there is no way to alter the weight of the arm to match personal preferences. This starter setup comes at a good price, especially when the brand is taken into consideration. While there have been some negative comments regarding the cartridge and the arm, these issues are small when compared to everything this turntable can offer. We have plenty of other options if these negatives are deal breakers for you. With easy to access controls and a lightweight build, it has portability and quality that you just don’t find very often. With USB connections for digital conversion as well, it has everything you need and more. Looking again at a leading brand, Sony’s DJ package is certainly one of the best out there – which is why we chose to feature it here. If you are just starting out and want to use a name that everyone knows, it doesn’t get much better than this. Take a moment to read through the reviews below. This deck comes in a matte black with silver feet – leaving it looking amazing while also ensuring that it doesn’t scratch your shelves or desk. Plus, it comes with a great dust cover to ensure it remains protected and fully functioning at all times. The arm has been made to emphasise the sound of the vinyl, and it is able to play three speeds, so you can listen to every record you own and love. When playing the music that you have made, you want a good sound quality when it is playing. In addition to the high-quality belt drive for smooth playback, you also have excellent Sony speakers that offer you a clear and crisp sound when the tracks are playing. 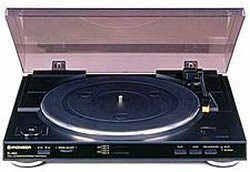 On top of all this, the turntable is also fully automatic, saving you a little time as well as protecting your discs from potential scratches. Some customers have found that the speed of the music can be a little fast if external speakers are not used. This turntable really is a steal at the set price, and one to watch closely. There have been some comments about the playing speed, but this is only noticeable if you are a dedicated audiophile. Plus, external speakers are very cheap, so it’s not too much more to add a set to the purchase. On top of all the great features we have listed, this model also records music effortlessly, giving you quick digital conversions when you need them. If you are looking to start your life as a DJ, this is the one to watch. Here are some further models of DJ decks for beginners, just in case the ones above do not quite meet your requirements. This cheap model from Ion comes in a classic piano black so that it matches your aesthetics. 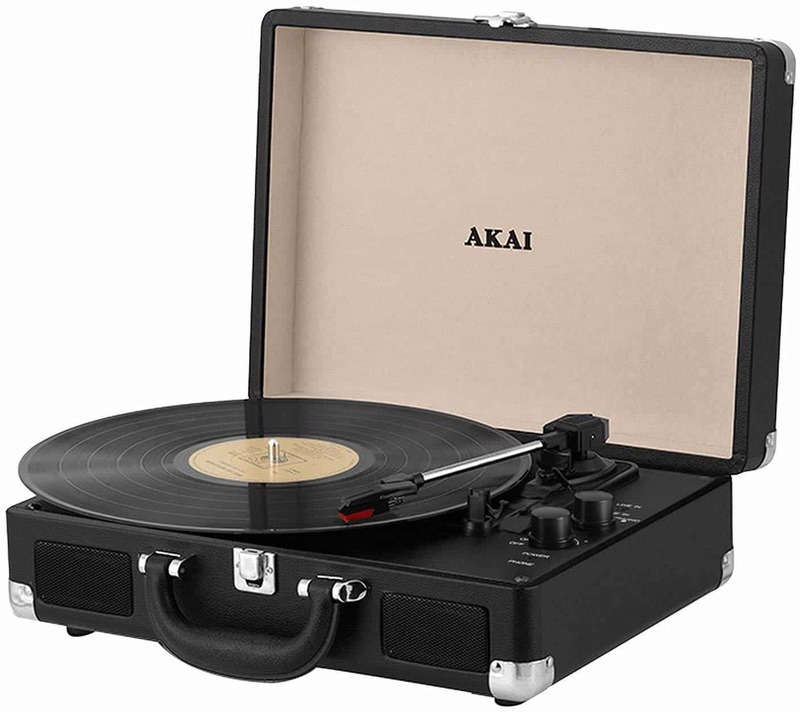 It has three speeds that you can choose from, and is also fully automatic, so you can enjoy every record in your collection. The slim and light design makes for a portable and compact model that can be taken with you anywhere. The USB port allows for a smooth connection to your PC or MAC, so you can stream the tracks you have made and share them with everyone. It also allows you to convert your records into a digital file so that you can listen anywhere. Additionally, the AUX input means that it can be hooked up to your external speakers or stereo for music that has a little more volume. This best vinyl record player comes in three different colours, so you can pick the one that matches both your mood and your home. With a sleek design, it combined everything that is good about the past with modern technology. 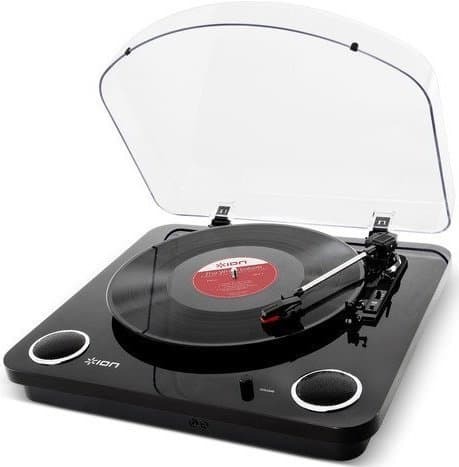 It has three speeds so that you can enjoy every record, but also uses Bluetooth integration for wireless playback at the simple press of a button. That way, you can play every mix you’ve made as well as the tracks you love most. The stereo speakers offer a clear and crisp sound, blasting through the house so that you can really share your music. While the built-in speakers are excellent, there is also a port that allows you to connect them to external ones too. With the option to make it wireless, the rechargeable battery has three hours of life for you to use. 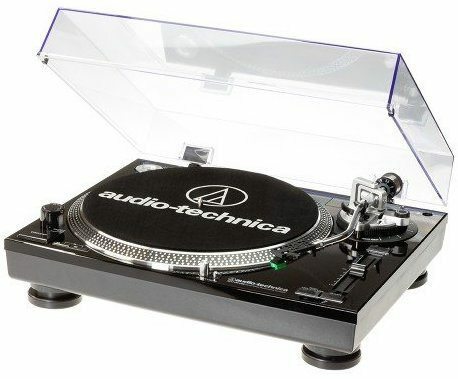 Hopefully, this guide has helped you to find the best DJ turntable for beginners, and that the DJ turntable for beginners reviews has given you some good ideas when looking at decks and determining which one is going to work best for your skill level and projects. When you start out and are making your own mixes, it’s important to invest in some good equipment. However, it is also a good idea to start small and work your way up. That’s why we have chosen a great selection of decks for beginners, and each of them come from brands that are both trusted and reliable – so you can get the quality you want for a much lower price. We know that one of these models is going to be just right, and you’ll be able to play your tracks for everyone to hear. What did you think of our DJ turntable guide? Are there any that you would have liked to see or recommended? We love hearing from you, so make sure to leave us a message in the comments below.